In Michigan, the geographic coverage of the EB5 Affiliate Network’s regional center encompasses all neighborhoods of Ann Arbor, including all of Washtenaw County. EB5AN provides you the opportunity to become a business affiliate with USCIS-approval to boost your Ann Arbor EB-5 project. Click here for more information. How does your EB-5 project benefit from affiliation with our State of Michigan EB-5 regional center? You’ll be able to promptly raise capital for your Ann Arbor EB-5 project. 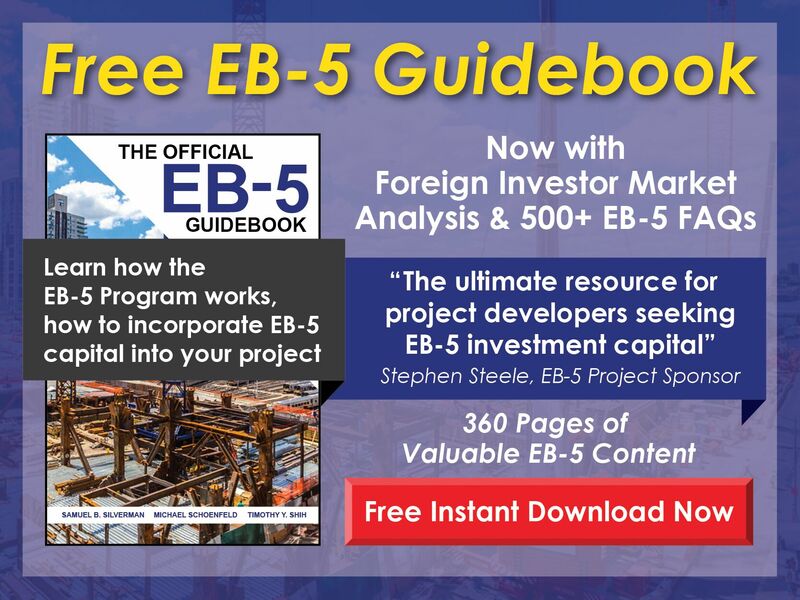 You’ll be able to leverage indirect jobs as a means of satisfying the EB-5 job creation requirement obligating each EB-5 investor to generate a minimum of 10 jobs. If your project partners with our regional center, direct as well as indirect job creation will go toward fulfilling the EB-5 requirement, which means you’ll be able to log higher job creation figures and thus generate substantially more EB-5 capital. If you do not associate your project with an EB5AN regional center, you’ll only be able to count actual payroll employees who have been employed for no less than two years.
. You’ll be able to start gathering investment capital for your EB-5 project with Ann Arbor coverage as soon as you affiliate with our Michigan regional center—and we’ll help you with the process. Our team is highly experienced in the affiliation process. Together, we’ll determine the level of job creation your project fosters, the amount of EB-5 capital your project can handle, and, of course, whether your project meets the requirements and prerequisites to affiliate with our Michigan regional center. Would you like to learn more about the EB-5 Affiliate Network affiliation process in Ann Arbor or about the benefits affiliation can afford your EB-5 project? Just click here. Establish your own EB-5 regional center in Ann Arbor in only three weeks: that’s all the time we need to prepare your I-924 application. The 1-924 application form entails a multitude of legal, economic, and bureaucratic details, and to effectively complete the form, one should understand these components well. 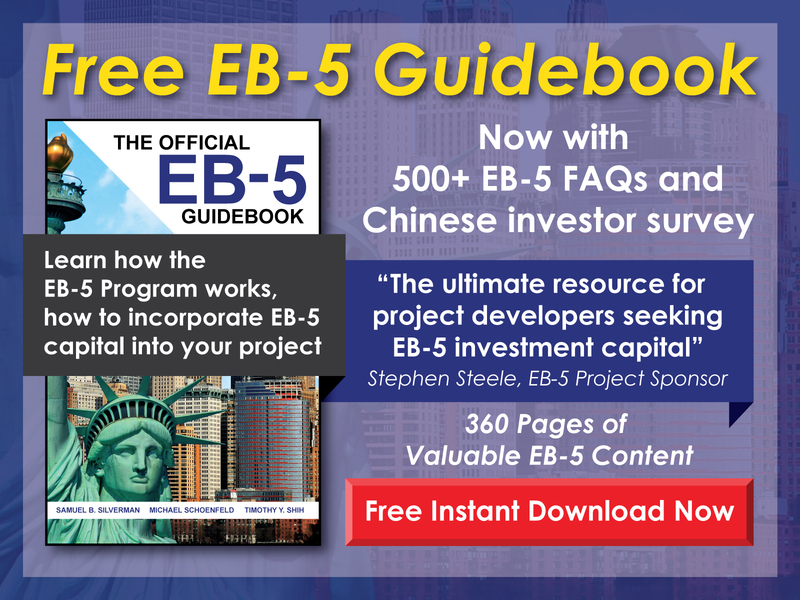 The EB5AN team has a solid understanding of these concepts, and when we pair this knowledge with our broad track record and vast resources, we can confidently take care of all the I-924 application requirements. We know how to circumvent the common pitfalls while expertly handling all the most important components, and our familiarity with the USCIS adjudication process facilitates an easy ride. Our regional centers provide comprehensive coverage in over 20 states, and we have executed more than 300 business plans and studies on economic impacts, all of which complied with USCIS regulations. Questions? Reach out to discover how we can help you gain prompt USCIS approval for your EB-5 regional center. You won’t have to wait any more than 24 hours for our response to your inquiry. EB5AN delivers a more rapid establishment of your own USCIS-approved EB-5 regional center. 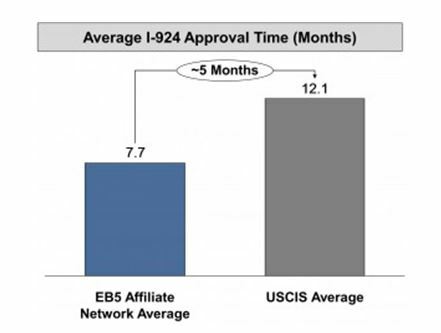 As the image clearly illustrates, our clients have historically received USCIS approval five months earlier than projects that go it alone. Is Ann Arbor a targeted employment Area area (TEA)? Use the EB-5 TEA Map available for free on our website to determine whether your EB-5 project is located within an area of Ann Arbor that qualifies for TEA designation. Would you like to learn more about why TEA designation is crucial for EB-5 projects, both in and outside of Ann Arbor? Check our TEA Designation page, where you can also find out more about the guidelines USCIS uses to determine TEA qualification. What do you do after confirming that your planned Ann Arbor-based EB-5 project is to be established in a TEA? Contact an EB-5 TEA state agency to place a formal request for a TEA certification letter. If you’re not sure how to proceed, consult our How to Get a TEA Letter for step-by-step instructions. Please also find a sample official TEA letter, as well as supporting materials for the approval request, for your reference. If you have questions or concerns, contact us by phone at 1-800-288-9138 or send us an e-mail at info@eb5an.com. We guarantee we’ll respond within 24 hours. Ann Arbor is a lively city with a thriving economy. Ann Arbor is the home of the University of Michigan, a famous research, development and educational institution. Google’s AdWords is headquartered here, along with a smattering of other tech firms. While the health, manufacturing, and technology sectors employ much of the city, the University of Michigan remains the leading employer, payrolling about 30,000 people, with 12,000 in the medical center. The university also entertains a thriving circuit of museums and centers for performance art, making this large college town a cultural and economic attraction. Our Michigan EB-5 regional center grants eligible foreign investors the chance to apply for permanent residency in the America by investing in a USCIS-approved EB-5 regional center. Ann Arbor is the sixth largest city in Michigan, with about 120,000 residents within its 28-square-mile geographic area, giving it a population density of 4,000 people per square mile. Ann Arbor’s sizeable population means that joining the EB5 Affiliate Network and obtaining USCIS approval will allow you to foster noticeable positive change in the communities of the city. You’ll help reduce Ann Arbor’s unemployment rate by generating new, full-time jobs. Do you have any questions regarding the processes of becoming a business affiliate of an EB5AN regional center with USCIS approval or of founding a new EB-5 regional center in Ann Arbor? Contact us today by phone (1-800-288-9138) or via e-mail (info@eb5an.com) to have all your questions answered.